Bulang wild arbor material from 2010-2012. 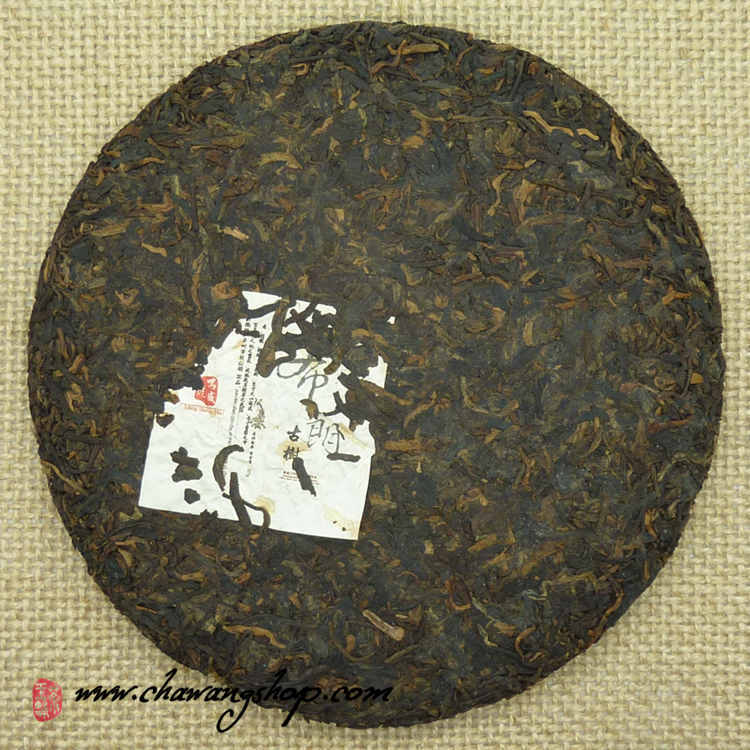 Nice example of high quality ripe puerh. 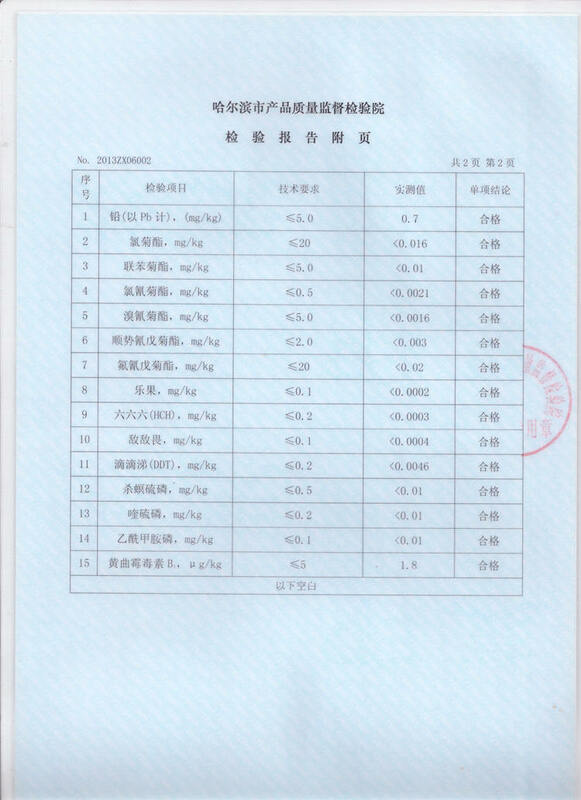 The fermentation level is medium. 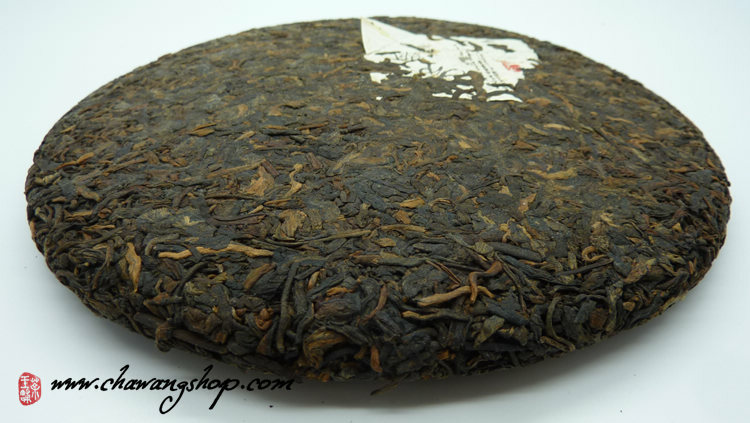 The cake is homogenous - same material used for the inside and outside. 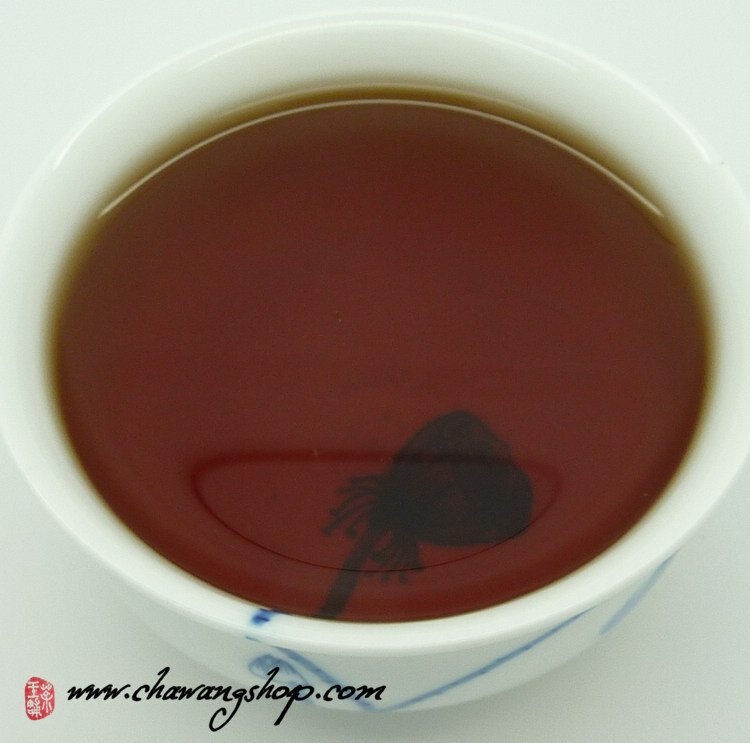 Deep red and clean liquor, smooth, with nice aroma and sweet aftertaste! 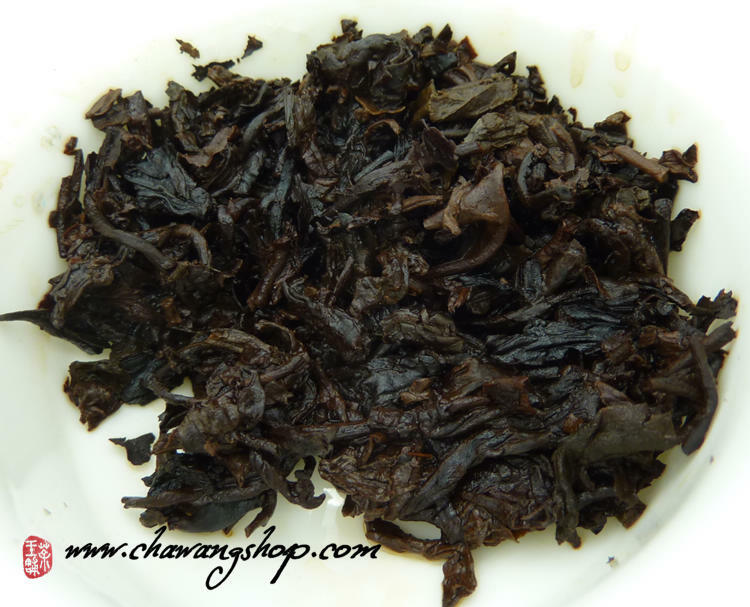 This tea is made of non plantation large leaves and can be brewed for many times. 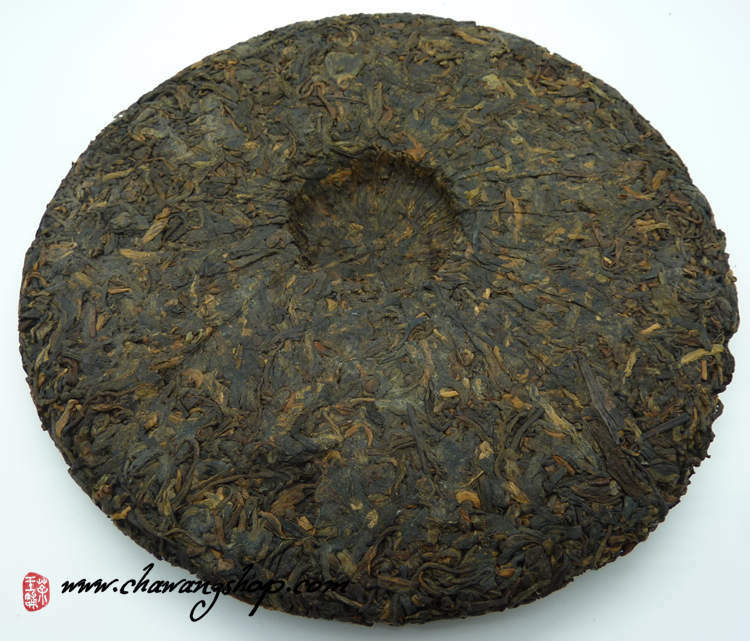 This puerh cake was controled and certified as organic. 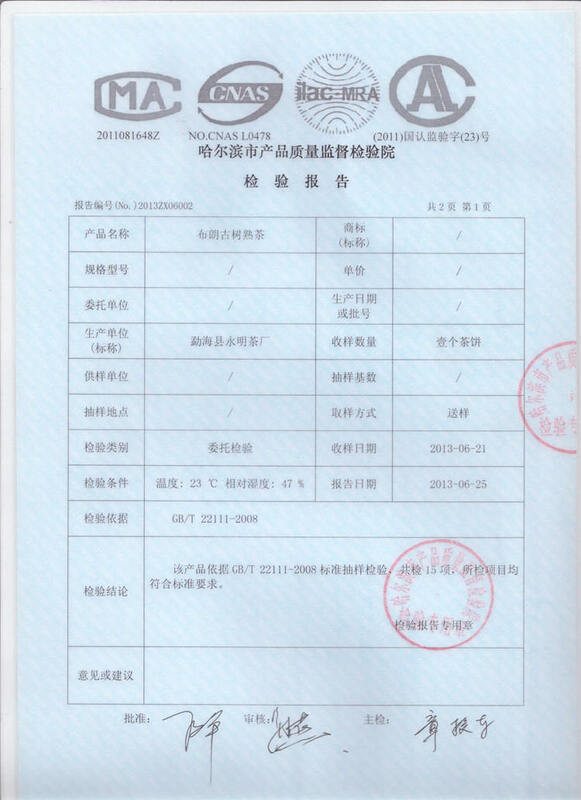 For wholesale customers we can send copy of this certificate.